As our country is on the rebound from recession, pinching pennies is a popular pastime. Consequently, price is a concern when eating out. On occasion, a customer will tell me, “Isn’t (insert price here) a bit much for (insert menu item here)?” As we all know, money is a touchy subject. Nevertheless, I’m willing to take it on. You won’t find a $1 fish sandwich or a $5 hoagie at our establishment. However, for just a few dollars more, you can sink your teeth into something leaps and bounds beyond typical chain-store eats. 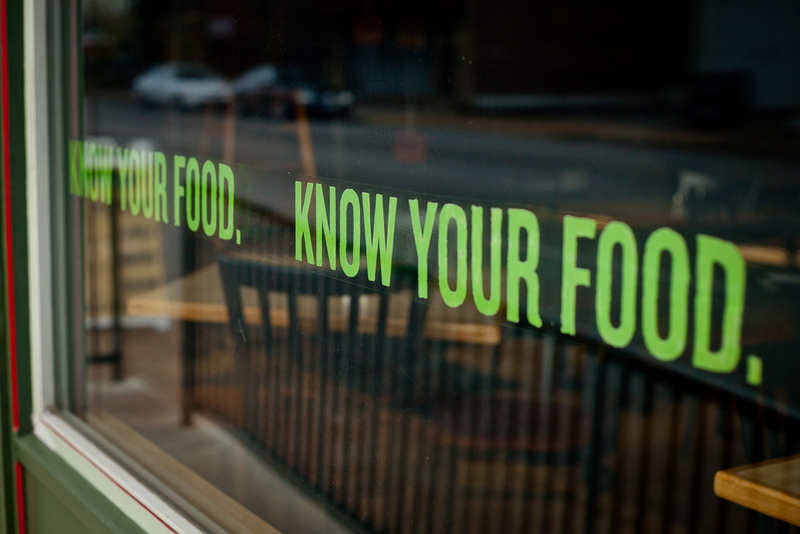 Our restaurant serves premium, seasonal, and largely organic items. It’s natural goodness–free of funky/unpronounceable chemicals and preservatives. The kitchen staff plates the freshest and tastiest food. When that lively bouquet of veggies in your Farmer’s Market Salad graces your lunch table, you’ll see (and savor) our commitment to quality. Sampled the zingy hummus? Grubbed on a sensational Molly’s Veggie Burger? Slurped some bomb vegan chili? All these items start from scratch. 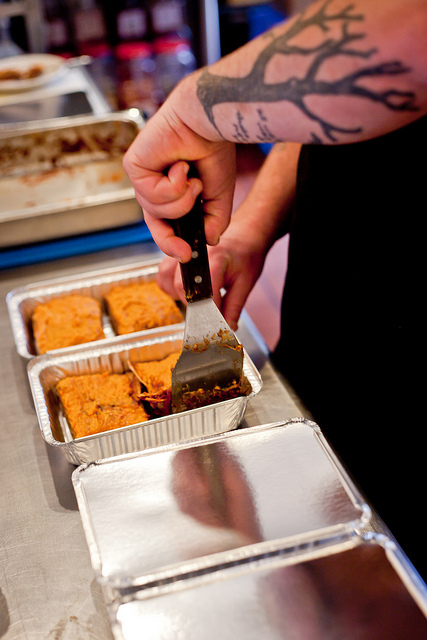 Then, fantastic human hands cook it all in-house with the utmost care. Yes, the secret ingredient is love–and it tastes phenomenal! We deal directly with growers and farmers to procure our product. Removing the middleman gives our vendors fair compensation for their incredible goods. Moreover, since we work with a lot of local folks–we generate revenue for the greater St. Louis community. The hands of Dan "Da Man." One of the many fabulous (real people) that make our food. 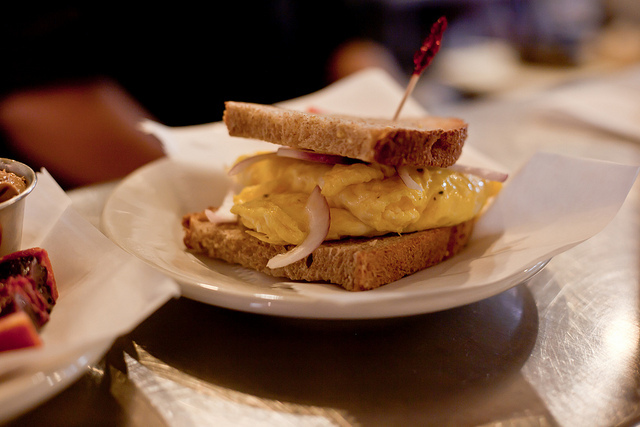 A fluffy farm fresh egg sammy, glistening with goodness. We’re hosting a lavish (local) feast and you’re invited. Savor the colors of spring. May 26 (Thursday) at 7:30pm!